I hope everyone had a good Thanksgiving. This is my final “autumn” post of the year and now, let the Advent Season begin in earnest! There are some selections of my favorite instrumental Christmas music on the Wikiplayer above my blog header. Hope you enjoy listening. I love these three pumpkins. I bought them for their stems and I must say they are spectacular with all of the twists and turns. They have lasted a long time. I will definitely be saving these stems. 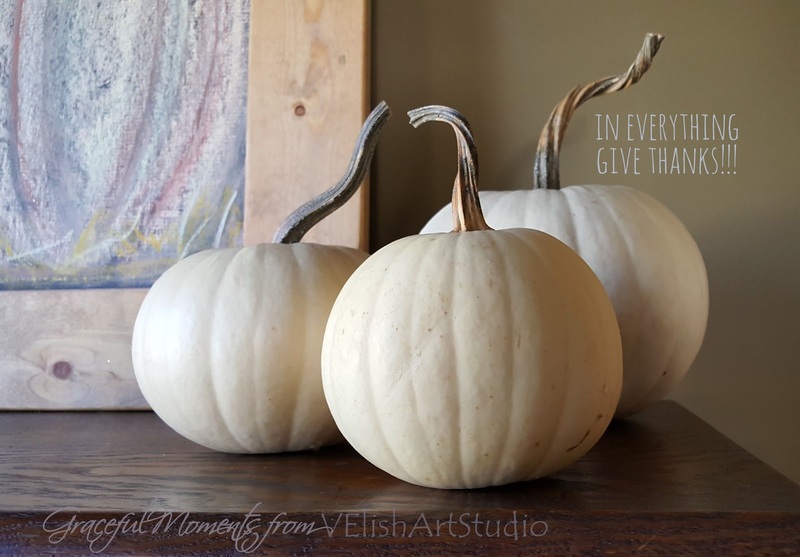 You can glue them to artificial pumpkins to help make them look more real. Those stems are wonderful! I want to tell you how touched I was by your beautiful comment at my blog. And I urge you to get painting, and show us what you do!!! !